I'm obsessed with lemons and you can always find fresh lemons in my kitchen. Not only lemons look beautiful as a centerpiece but they smell amazing! It's no wonder lemons are used in so many products beyond cooking. Lemons are beautiful and beneficial to our health and well being. Properties of lemons can be found in cleaning/household products because it's antiseptic and smells wonderful to freshen up your home. In skin care and personal care products, lemons are antiseptic and lemons are loaded with antioxidant which is great as an anti-aging agent in skin care products. No wonder it's a popular staple in personal care products. Lemons are found in all sorts of drinks from water with lemons to sodas to alcoholic beverages to enhance the flavor of drinks. I love having a hot cup of water with a few fresh slices of lemons. It's a wonderful way to naturally detox. When it comes to essential oils, take the advice that less is more! Pure, essential oils are potent and powerful and it's best to dilute to err on the safe side. Some people use lemon essential oils internally such as adding a few drops in their water however I prefer to caution on the safe side even though the lemon oil I use is pure grade and the highest quality. My rule of thumb with all oils is to dilute even with the ones that are safe to use. I'm most comfortable mixing it with 5 drops of a carrier oil such as fractionated coconut oil or jojoba oil with 1 drop of pure essential oil. High quality, pure therapeutic grade is the utmost important when buying essential oils. I buy mine from Verefina because I trust and know the sources of the oils. You don't want to spend money on cheap oils which can be laden with toxins or fillers. And the expensive ones don't necessarily mean they're better either. 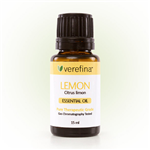 You can buy directly from my ->Verefina Essential Oils online store and have products shipped directly to your home. If you have any questions, feel free to email me: Janette at campopfan@gmail.com. P.S. For a LIMITED time, get a FREE hand-size lemon lotion with a $75 purchase from my online store. Click here ->Buy Verefina Products. You can see the promo on my website. Is Selling Natural Organic Skin Care from Home Profitable? I don't know one female gal pal who doesn't use some type of skin care products on herself, do you? It's rare for women not to use skin care products. In fact, personal care products for women, men, babies and kids, can be found just about in any store because these are consumable products that people use on a daily basis. When it comes to natural, organic skin care products, it's a booming market and steadily rising in recent years. The more people know about the potential danger of using products with toxins which are linked to numerous health concerns, the more people want to switch to natural beauty products. (See Ingredients to Avoid). This means, if you're wondering if selling natural organic skin care products from home is a profitable business- the answer is absolutely yes! However, there are some important things to consider if you're thinking about selling these products. There are several ways you can sell natural/organic products from home. I love the idea of making things myself but the idea of making skin care and personal care products from scratch as a business is a lot of work. There are just too many factors to consider before you can even start selling. You'll need to decide what type of products to make, finding the right labels and packaging, dealing with shipping, taking orders, managing inventory, having enough raw ingredients to make the products, tools, utensils, and having a variety of products to appeal to customers. Those are a few things you'll need. There's also the business side to consider such as marketing your business, where you'll find customers, website costs, etc. Now, if you're the type that loves making products and prepared to do the work yourself then this would make sense for you. On the other hand, if you're like me who's busy with kids, school volunteering, and after school activities- it would be a lot of work for me to make my own products and attempt to sell and market the business all by myself. There are only so many hats I would be able to wear and do well in 24 hours. For me, I love working from home and having the flexibility to run a business online, so it made sense to partner with a company that offers natural/organic products that I'm already using and start selling right away. When people think of direct selling they think Avon, Tupperware, and selling to friends and family but direct sales has changed dramatically in recent years with the ease of technology (internet, social media, mobile) that you don't have to sell to people you know in order to be successful. The biggest appeal is the incredibly low cost to get started which gives you hundreds of dollars worth of products and a "business in a kit" to start selling right away. Just about every online company offers an affiliate program these days. It's typically free to join. Then you're provided with banners and a url link that you can post on your blog or website. Whenever someone clicks on your link and buys a product, the company pays you a commission. The commission varies but affiliate commissions are typically lower than direct selling. You can expect to earn anywhere from 20% up to 50% retail profit with a direct sales company. With affiliates, I've seen around 10% or 15%. Some might pay more or less. The different choices are up to you and what you're willing to invest in terms of time and money. In my next post, I'll talk more about the advantages of joining a direct sales company vs an affiliate program. P.S. Find out why this natural skin care company is on the grow and soon to a member of the prestigious DSA (Direct Selling Association) organization. When a company is a member, you can expect it to have more visibility and grow even bigger. Want to be in a position now before this company becomes a member? Email me: campopfan@gmail.com for details. One of the main reasons why Amazon is hugely successful is because the company makes online shopping easy. I'm a regular shopper and love their $25 free shipping. Which brings up a pain for me when it comes to party plan, direct sales companies. Most of these companies don't have strong incentives to entice buyers to shop online. Sure, there are host and product incentives, but the kind of incentives that would entice me to shop regularly are great bargains and free or low shipping. I understand the party plan main business model is selling from home parties with the consultants taking orders rather than an e-tailer like Amazon. Party plans rely on selling directly in person through their local communities first, with online shopping as an additional source of sales. With online shopping, it's not only convenient but preferred by many people, including me. If you're a consultant for a party plan company, one of the best ways for a consultant's business to grow beyond selling through home parties is to offer attractive online shopping incentives. Online shopping is a powerful sales method. Let's face it: keeping up a calendar full of parties isn't easy or realistic for most party plan consultants. They need other avenues of sales to keep them in the business. As someone who is in the direct selling business myself, shipping is something I'm conscientious of and consider before buying online. With so many products online, why would someone buy from a direct sales consultant's website other than the personal relationship one has with the consultant? But with the unlimited potential of the internet, your business could gain more buyers if the incentives are attractive. Besides free shipping, what incentives can a company offer to turn looky-lous into buyers? Samples or travel size products is a great way for someone to try the products without spending a lot of money upfront. I just ordered an "information kit" from a natural skin care direct selling company because it was only $5 with shipping included and the kit comes with a catalog and several travel size products. What a smart idea because with this easy "give us a look" option can turn an interested person into a potential buyer or even a new consultant. I'm more likely to try because I don't have to worry about returning a product which is a big hassle! And if you're only spending a few dollars to try samples, there's nothing to lose as most people wouldn't balk at the $5 for samples, even if they end up hating the products. 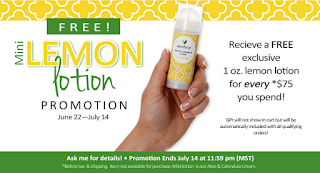 This company also offers quite a few "travel size" products which makes it really easy to try their products without spending a lot of money upfront. You must make it easy to turn online visitors to buyers. In the world of skin care, personal care products- products are everywhere, not just online as these types of products can be found in regular stores. Unfortunately, most direct sales companies I've looked at don't make it all that easy to buy online because of the high shipping cost. I'm not likely to spend $9-12 for shipping to try one product. Does your company make it easy to buy or sample products online? Would love to hear your comments.